“…Soon, all those who have led My Church in the past, all those who provide God’s children with the True Word of God, within My Church, and all those who will remain loyal to the Truth, will be shoved to one side. All these changes will come about quickly, in the future, and the spread of these things will astonish many. Amidst it all, there will be confusion, fear, sadness and great distress. “GRANADA, Spain, September 27, 2017 (LifeSiteNews) — A leading Catholic philosopher is suing an archdiocese after the local archbishop fired him from a Catholic university for publishing a critique of Pope Francis’ teaching on marriage and family. 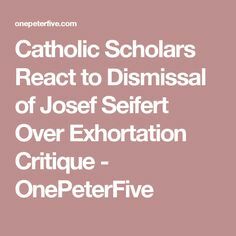 Dr. Josef Seifert filed a civil lawsuit last week against the Archdiocese of Granada saying that his removal from the university was unjustified and a violation of two of his fundamental human and constitutional rights. Seifert, an intimate friend of the late Pope St. John Paul II, was removed in August from his post at the International Academy of Philosophy in Granada by Archbishop Javier Martínez Fernández. September 29, 2017 (LifeSiteNews) – The former head of the Vatican’s doctrine office is warning in a lengthy new interview that under Pope Francis fear now permeates the Church’s administrative body, the Roman Curia. “I heard it from some houses here, that people working in the Curia are living in great fear: If they say one small or harmless critical word, some spies will pass the comments directly to the Holy Father, and the falsely accused people don’t have any chance to defend themselves,” Cardinal Gerhard Müller told the National Catholic Register’s Ed Pentin in a wide-ranging interview. The Pope removed Müller, without explanation, when the Cardinal’s term ended in July. 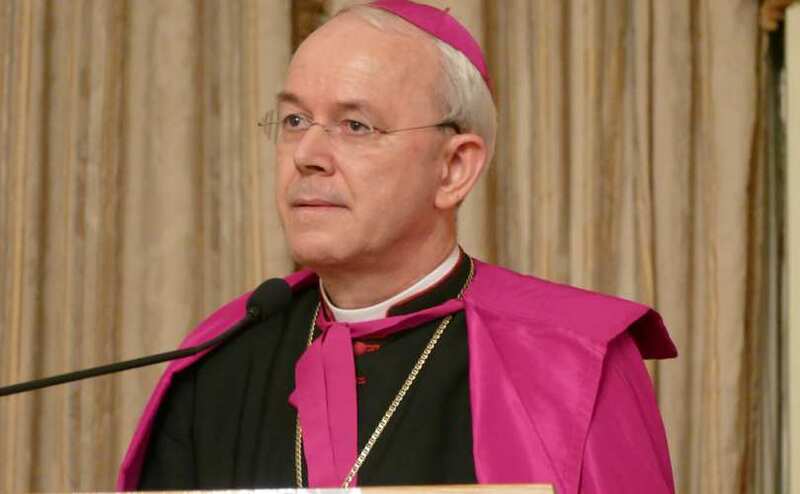 Bishop Athanasius Schneider has compared the treatment of the four cardinals who sent the dubia to Pope Francis to life under the Soviet Union. “We live in a climate of threats and of denial of dialogue towards a specific group,” Schneider said in December 2016. Editor’s note: Fr. Thomas G. Weinandy, O.F.M., Cap., is a highly regarded and accomplished American theologian who is former chief of staff for the U.S. Bishops’ Committee on Doctrine and a current member of the Vatican’s International Theological Commission.